Three years ago the Five Power Defence Arrangements (FPDA) celebrated its 40th birthday, an anniversary that sparked a flutter of international curiosity about this most eclectic of regional security frameworks. 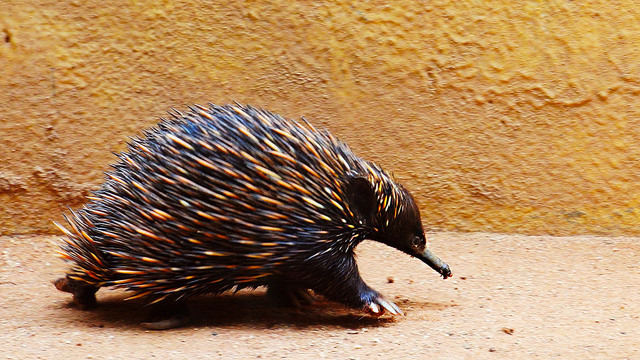 By way of animal analogy, the FPDA is an echidna among defence accords: shy, long-lived, unassuming—somewhat odd-looking. Since 2011, it has arguably reverted to type, humbly re-occupying its niche as a sub-treaty legacy agreement, on a separate track to the region’s fast-evolving security architecture. 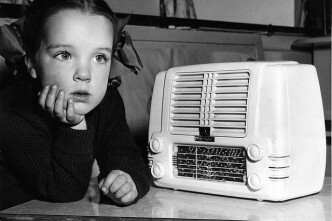 As noted by Tim Huxley in 2012, the FPDA’s ‘anachronistic’ image has tended to obscure its advantages as a unique, evolving tool in Australia’s defence diplomacy. Subsequent developments have borne out that potential, although the FPDA—in its unspectacular way—struggles to compete for attention within a menagerie of competing, ‘alpha’ strategic priorities. Dubbed the ‘quiet achiever’ by Carl Thayer, the FPDA’s low profile belies a brisk tempo of multinational air, naval, land and command-post exercises held regularly under its auspices among Malaysia, Singapore, Australia, New Zealand and the UK. Boilerplate-text aside, Australia’s 2013 White Paper was surprisingly effusive on the Five Power arrangements, noting that membership ‘provides Australia with a strategically important presence in Southeast Asia that augments bilateral and other multilateral engagement’. 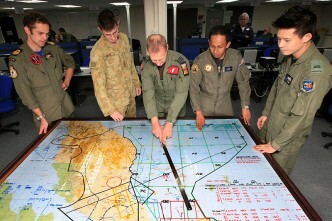 Despite this there’s little public awareness of what the FPDA is for, or the prominent role that Australia plays within it: for instance the fact that a two-star Australian Air Vice-Marshal commands the peninsula-wide Integrated Area Defence System (IADS) from the Malaysian air base at Butterworth—more than a quarter century after the last RAAF squadron was withdrawn from there. Indonesia’s still the most important external factor bearing upon the FPDA. Although not officially acknowledged, the FPDA was created in the shadow of Confrontation as the successor to the Anglo-Malayan Defence Agreement, to provide a non-binding level of deterrence to Malaysia and Singapore against the return of Indonesian demagoguery (the arrangement obliges parties simply to consult in case of external attack on the Peninsula). As Canberra has embraced Indonesia’s post-Soeharto democratisation, and pursued a bilateral compact with Jakarta as its strategic priority in Southeast Asia, so the FPDA has lost some of its lustre for Australia. Singapore and Malaysia view their larger neighbour with continuing caution and are less sanguine about the prospects for defence engagement. That explains the continuing strong support for the FPDA in Kuala Lumpur and Singapore, even as their own improving relationship has rendered the arrangements less important as a conduit for managing cross-Causeway tensions. Improving strategic relations with Indonesia is likely to remain Australia’s most important security objective in Southeast Asia, for obvious reasons. However, Jakarta’s abrupt, prolonged freeze on security cooperation, in retaliation for the Snowden revelations, has brought home the vicissitudes in the bilateral relationship—and the dangers of overloading the Indonesian basket when it comes to Australia’s defence engagement in Southeast Asia. By contrast, the FPDA has continued to accumulate quiet achievements. If Canberra doesn’t share quite the same perceptions of Indonesia as its Southeast Asian partners, its difficulties with Jakarta over the past year nonetheless underscore the value of FPDA dependability—and the risks of over-reliance upon a single partner within the region. Unlike the echidna, the FPDA has at least adjusted its gait to move with the times, re-badging IADS from integrated air defence to area defence as far back as 2001. Exercise and interoperability themes have since been broadened from conventional defence to HADR and maritime security. 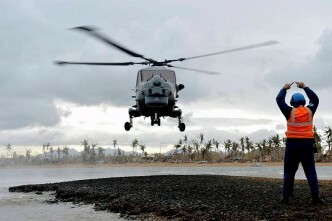 FPDA was not publicly invoked during the search for MH 370, but the disaster has focused an operational spotlight on the need for integrated air surveillance and SAR coordination across Southeast Asia and beyond. The apparent failure to track the airliner as it passed north of Butterworth was not IADS’ finest hour. But the continuing multinational search operation has unquestionably benefited from the institutionalised trust built up between Malaysia and its fellow FPDA members. With Singapore recently unveiling a new Regional Humanitarian and Disaster Relief Coordination Centre, HADR collaboration within FPDA is probably set to expand further. With an eye to more strategic concerns, while the geographical purview of FPDA is limited to the Malay Peninsula and its maritime approaches, naval and air exercises are held in the southerly reaches of the South China Sea. Extending those to East Malaysia on an ad hoc basis would send an important, non-provocative signal of the Five Powers’ commitment to freedom of navigation and overflight. 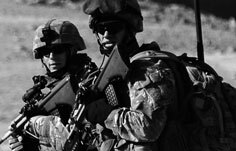 Although the perception that the UK no longer pulls its military weight within FPDA is a common source of complaint, the de facto senior external partner status that confers on Australia is a net plus. The FPDA is unique as a multilateral defence framework in the western Pacific, and one of the few fora where Australia’s present and America absent. Diplomatically, that’s surely advantageous for a country that struggles to shake off the ‘deputy-sheriff’ moniker in Southeast Asia. From a military point of view, the major limitation on the FPDA going forward may in fact be Malaysia’s laggard level of defence capability. As a consequence, Singapore and Australia may be led to exercise bilaterally on a more regular basis. The FPDA’s flexible enough to accommodate that, though it’ll require careful diplomatic management. With the White Paper pending, Australia could start by giving fresh consideration to the FPDA, not as a legacy throwback to forward defence or a deviation from partnership with Indonesia, but as a flexible, proven platform to serve its security interests in Southeast Asia. Euan Graham is a senior fellow at the S. Rajaratnam School of International Studies in Singapore. Image courtesy of Flickr user Jason Wong. Britain not a player in Asia?